From snowflakes to stockings, reindeer to wreaths, every aspect of the holidays is waiting to be brought to life through your creativity. Postcards say "Merry Christmas!" on the back. 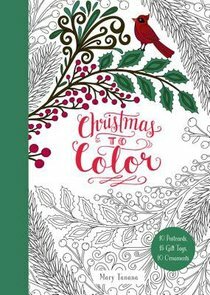 About "Christmas to Color:10 Postcards, 15 Gift Tags, 10 Ornaments"